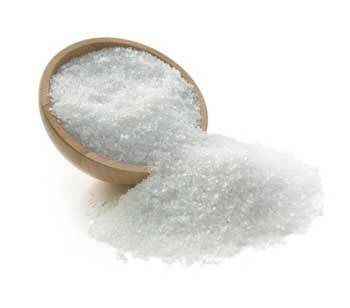 Dead Sea Bath Salts effectively treat many skin conditions, from Eczema and Psoriasis to extremely dry or oily skin. We leave Dead Sea Bath Salts exactly the way nature intended, with no added colors or fragrances, so that you can relax and soak away aches and pains in our therapeutic bath salts. Dead Sea " Bath" Salt is for BATH/SPA use only and is NOT a food-grade salt suitable for consumption. Dead Sea Bath Salts For Skin : have become famous for their many natural therapeutic qualities and ways to treat and care for your body, due to their unique composition of minerals. The Dead Sea Bath Salts used in our products are harvested from the southern Dead Sea in Jordan, where mineral content is at its highest. Please Note: Original Dead Sea Bath Salts Is Not Filtered Or Removed The Small Gravel As Is The Case With All Of Our Other Dead Sea Bath Salts Production As It Is Natural From Nature , Therefore Some Bags Will Likely Contain Small Gravel And Occasional Natural Colored Specks 5-8% , And Some Other Bag May Contain More. covered area at low humidity levels below 75%. N.B : Extra Charges will be added for Shipping to South America / Africa - Buyer have the option of arranging shipping .